Beverly - Alice Grady Burns, 90, passed away at her home on Tuesday, January 22, 2019, after a long and wonderful life. Born in Beverly on March 21, 1928, she was the daughter of the late Thomas Franklin Grady and Ann Gertrude (Daley) Grady, and the sister of Maureen Currier, the late Patricia Stickney and the late Thomas Franklin Grady, Jr.
She leaves behind her daughters, Adrienne Grein and her husband Richard, of Hanover, MD, and Elaine Crowley and her husband Jack, of Beverly; and her son, David Burns and his wife Heather, of Concord, NH. She now joins her beloved husband of 60 years, John, and her oldest daughter, Dianne Bace and her husband John, who predeceased her. Alice was the loving and proud grandmother of seven grandchildren, Michael, and his wife Giavanna, Katherine, and Jennifer Grein; John and Daniel Crowley; Thomas and Matthew Burns. Alice was a graduate of Beverly High School, Class of 1945. She was a lifelong parishioner at St. Mary Star of the Sea parish, and active in the parish in many ways, as a member of its Sodality group, a teacher of CCD for many years, and as a Eucharistic minister. Throughout her life, she was also active in many civic organizations. 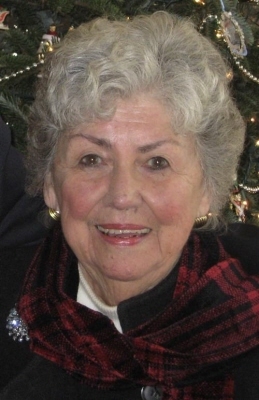 She was a co-founder of the Beverly Shoreline Rights Association, served on the Board of Directors of the Beverly Harbor Management Authority, the Board of the Friends of Beverly Public Library, and as a Trustee of the David S. Lynch Fund. She was also a founder and lifelong member of the Skibbereen Society. Her greatest joy in life was spending time with her family, especially her cherished grandchildren. She enjoyed traveling with her beloved husband, spending time with a large circle of friends, and was an avid reader. Alice was a loving wife, mother, grandmother, and friend, and will be dearly missed by her family and friends. Alice's funeral will be held at St. Mary Star of the Sea Church, 253 Cabot Street, Beverly on Monday, January 28 at 1:00 PM. Relatives and friends are invited to attend. Visiting hours will be at Campbell Funeral Home, 525 Cabot Street, Beverly, on Sunday, January 27, 2019, from 4 PM to 7 PM. Interment will be at Central Cemetery in Beverly. In lieu of flowers, a donation may be made in Alice's memory to the Friends of the Beverly Public Library, 32 Essex Street, Beverly, MA 01915, or Care Dimensions, 75 Sylvan Street, Suite B-102, Danvers, MA 01923. To send flowers or a remembrance gift to the family of Alice G. Burns, please visit our Tribute Store. "Email Address" would like to share the life celebration of Alice G. Burns. Click on the "link" to go to share a favorite memory or leave a condolence message for the family.